This nursery rhyme had many versions, the earliest may have been in The Nursery Parnassus published in London in 1784. 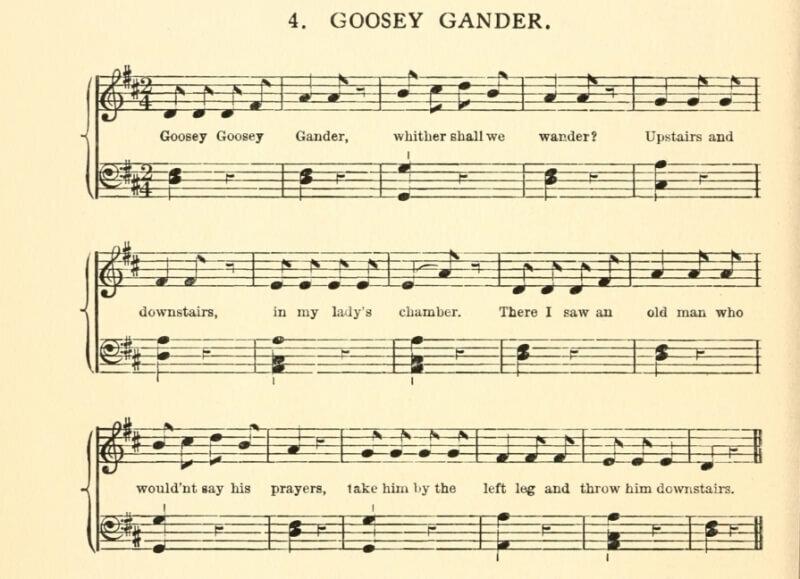 As with so many nursery rhymes, their meaning remains a mystery to chanting children (which is probably for the best). This rhyme likely referred to the Catholic priests' hiding places during their persecution by King Henry VIII , and later Oliver Cromwell . Literary references include C.S. Lewis 's The Lion, the Witch, and the Wardrobe , Agatha Christie 's novel, N or M? and the BBC series, Upstairs, Downstairs for its namesake reference in the lyrics. He nearly broke his back. 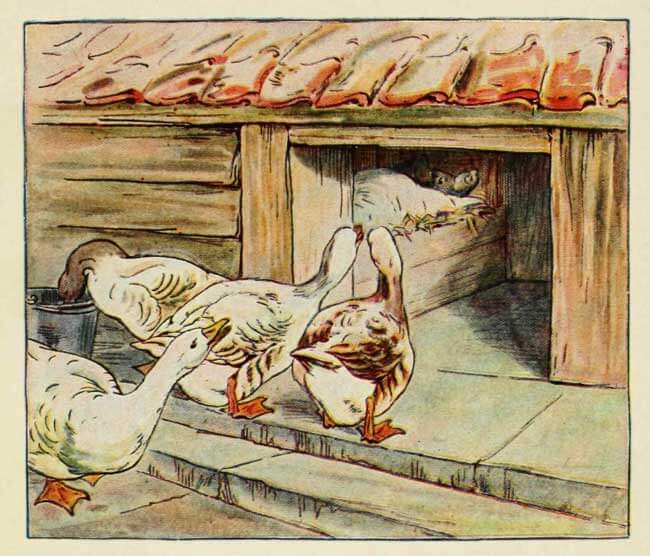 Add Goosey Goosey Gander to your own personal library.